HAFR AL-BATIN : North Thunder, the ongoing military maneuver in Saudi Arabia, is a message to the world that the Kingdom will not be a passive observer to the massacres of civilians and mayhem in Syria and Iran’s ambitions in the region, political observers have said. 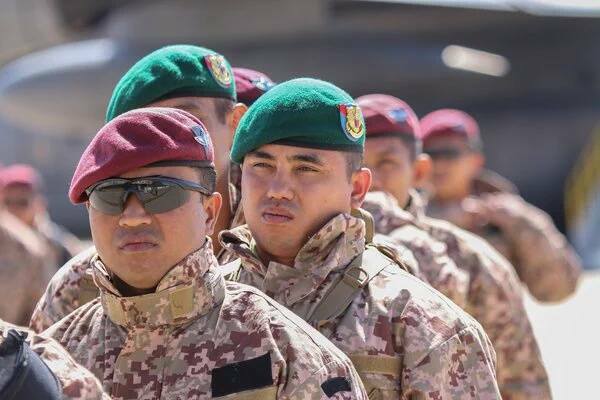 Political observers and experts said the military exercise aims at delivering certain indirect messages at the regional and international levels, along with reaching a high level of readiness among the participating armed forces. 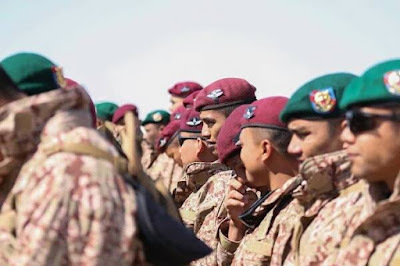 The stage chosen for the exercise, Hafr Al-Batin in northern Saudi Arabia, adjacent to Iraq, near Iran and Syrian is also a strategic move they said. 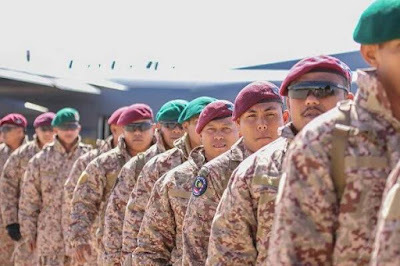 Al-Shehri said that the Saudi government expressed its willingness for ground intervention in Syria after observing international inaction in stopping the massacres in Syria. 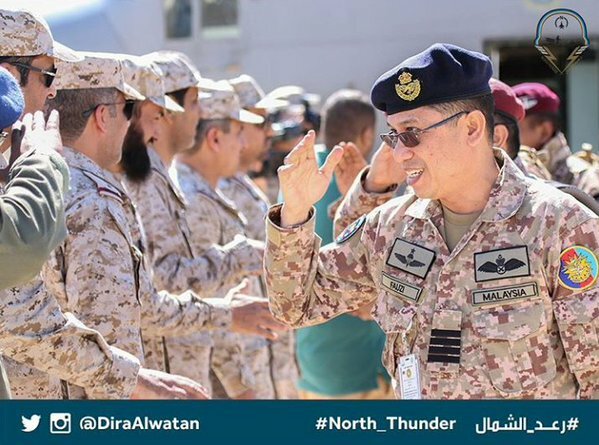 The move will force Iran to review its regional ambitions, he said. 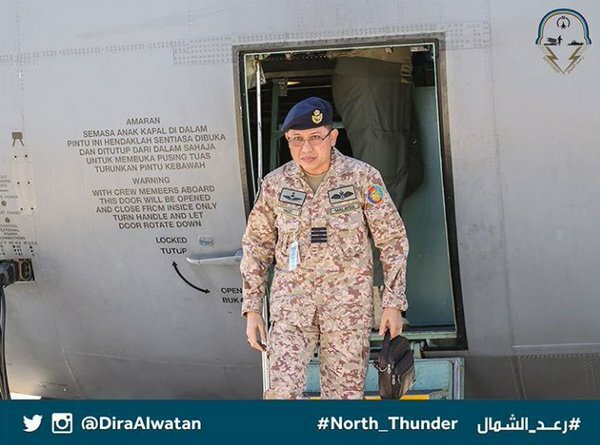 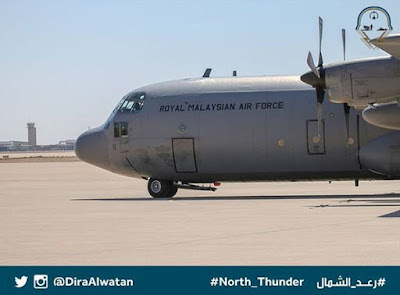 The Kingdom has officially launched Twitter account, @DiraAlwatan, to cover the North Thunder exercise moment by moment, in Arabic, English and French. 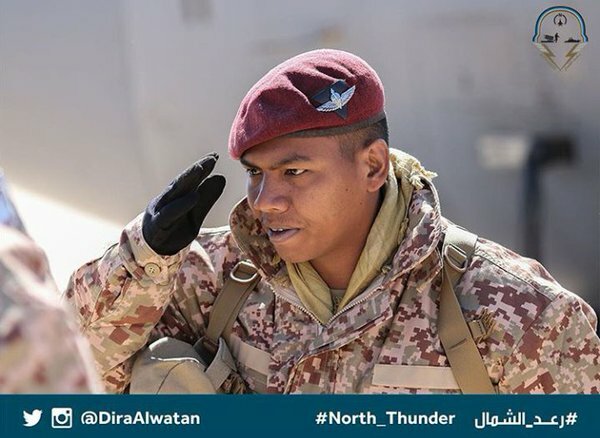 The first tweet included information about the drill led by Saudi Arabia to highlight the high combat capabilities of these countries. Meanwhile, Emirati troops arrived at King Khalid Military City in Hafr Al-Batin on Monday night. 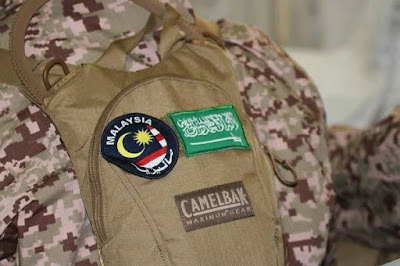 The 20 countries are: Saudi Arabia, the UAE, Jordan, Bahrain, Senegal, Sudan, Kuwait, Maldives, Morocco, Pakistan, Chad, Tunis, Djibouti, Comoros, Oman, Qatar, Malaysia Egypt, Mauritania, Mauritius. SUAMI ISTERI MERAKAM "VIDEO SATU WARNA"
ALLAH BENCI ORANG YANG BONCET / GENDUT?